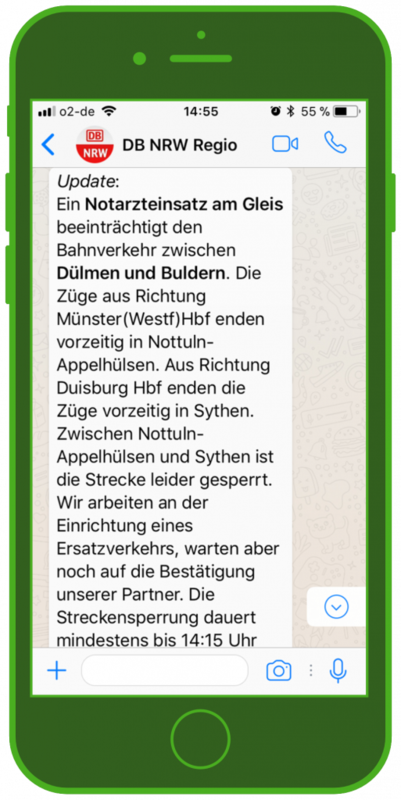 Deutsche Bahn & WhatsApp – with the new WhatsApp news channel, Deutsche Bahn riders using the DB Regio NRW lines can get real-time messagesabout their specific train routes directly on WhatsApp, with updates from train cancellations to weather problems. This allows them to react immediately, adjusting their plans if they know there will be delays during their trip. In this interview, you can read about how Björn Stroiczek, the coordinator of the program “Zukunft Bahn” (DeutscheBahn Future), values the advantages of using WhatsApp to communicate with passengers, how he strategizes to only send relevant information to the users, and how his WhatsApp channel exceeded his team’s expectations. Deutsche Bahn & WhatsApp: no matter the problem, stay up to date with schedule changes, warnings, and help with route changes and updates! Cyclone Friederike gave way to massive flooding, and this naturally had an effect on public transport. So much the better, that Deutsche Bahn’s regional service in Nordrhein-Westfalen developed a service that updates their passengers – especially commuters – about important information about train delays or cancellations, and offers passengers alternative routes. With the DeutscheBahn WhatsApp Service “Route Agents” (DB Regio NRW Streckenagenten) the users are kept reliably up to date. The users sign up here. Then they choosesettings, like what routes in the NRW network they wants to be informed about: this allows users to receive only relevant updates, with information about the selected train lines. They can receive updates directly in WhatsApp, and even at a specific time, chosen in settings. 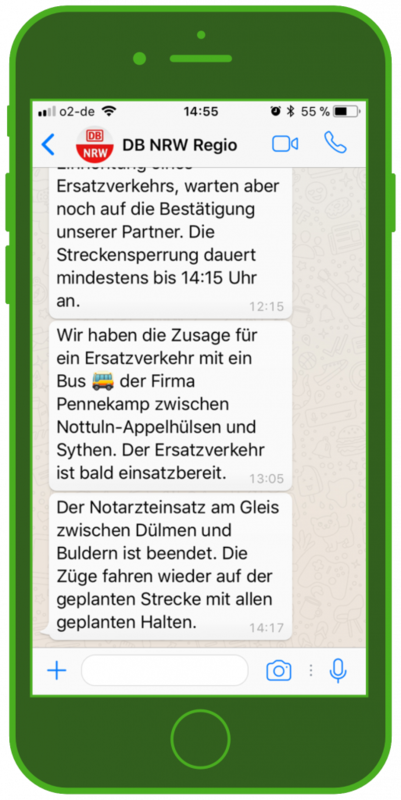 The storms from Friederike have already put the WhatsApp newsletters to the test, and shown how helpful they are. 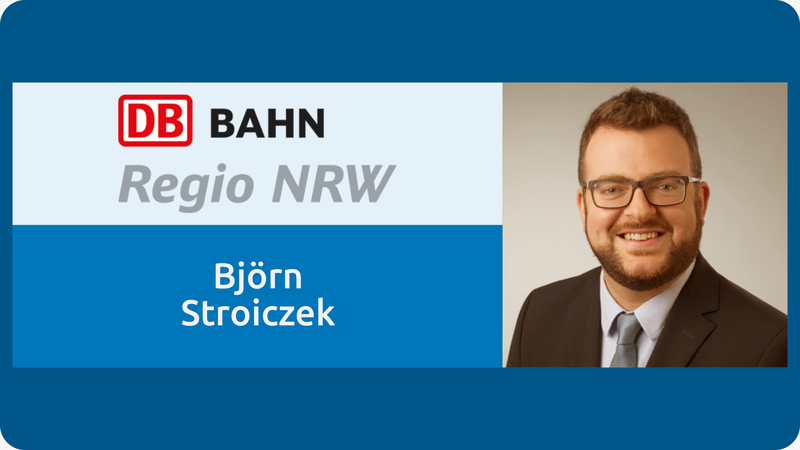 Björn Stroiczek, the man behind this well thought-out service for the DB Regio users in Nordrhein-Westfalen, and the coordinator for passenger communication, shares his thoughts with us. 1. What idea was behind your decision to use WhatsApp for customer communication, and how did you start? We wanted to inform our clients about public transport more transparently, quicker, and more proactively, so we developed the DB Streckenagent at DB Regio NRW for commuters. DeutscheBahn has been using WhatsApp as a channel for customer communication since the beginning of 2016 and the customers respond very positively. As part of our program “Zukunft Bahn” (DeutscheBahn future) we wanted to try out something new and offer the customers an uncomplicated service. 2. Who is responsible for the DeutscheBahn Regio NRW WhatsApp channel, and how much work does it require? Four employees work as route agents in the Duisburg transport center in two daily shifts from 6am to 10 pm. If there is a serious problem, we try to explain to the passengers what has happened, and what effect this will have on their travel. We also provide helpful tips for alternative travel possibilities. This information is sent out in real-time through our travel information service as well as simply through our route-specific WhatsApp channels. 3. What goals did you have for the customer care and information distribution via WhatsApp, and how have the results been thus far? We were searching for the easiest and fastest way to proactively inform our customers about transportation problems, in order to raise customer satisfaction. Our commuters receive different possible routes and schedule confirmations through push notifications about their daily travels. Looking back, the success of our service exceeds our initial expectations. 4. What were your main target groups? How do your users like the service: do you receive responses directly in the WhatsApp channel? Our main target group is our daily commuters. When their daily route is disturbed, that’s clearly inconvenient for them. Many commuters give us a lot of positive feedback, because receiving reliable information early helps them manage their time better. We keep this in mind and try to always give an estimation of how long a service disruption might last. 5. 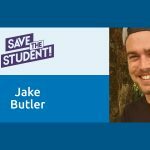 How do you specifically use your WhatsApp channel? It’s important that our passengers and our employees don’t just receive information at the same time, but that they also receive the same content. We take the texts that we send over our classic travel information media and send them word for word over our WhatsApp channels. We also like to use Emojis to provide visuals about the problem. 6. What are the biggest differences for you between messaging apps versus social media, email, and other apps? What do you see as the advantages of WhatsApp and Co.? Each information channel has a specific purpose. However, alerts in classic informations channels without a push notification function often get lost in the shuffle. Some channels are a bit too slow or the alerts seem like spam, like sometimes over email. The biggest advantage of WhatsApp is how simple it is to use. 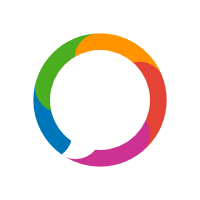 It’s a messaging app that’s popular with both younger and older age groups, and is easy to set up for your specific needs. With the push notifications in real time, we are able to fulfill the user’s need for quick and reliable information. 7. 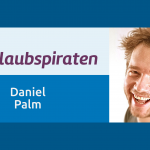 What can MessengerPeople do for you in the future to make your work even more successful? We want the Deutsche Bahn NRW WhatsApp Service to take on a bigger role in the future as a travel “partner” and answer questions about the different routes and trains – or just answer general questions. Thank you for your input about Messenger Marketing! Björn Stroiczek has worked at DB Regio AG, Region NRW since 2008 and is currently an attendant and customer service specialist for several lines in Nordrhein-Westfalen. During his long career he has gathered valuable experience in close customer connection. 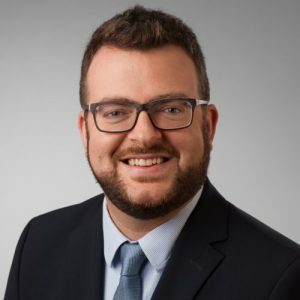 After further development and promotion, he became a coordinator of the creation and development of the DB Regio DB Streckenagent as part of the program “Zukunft Bahn” in 2015. Our goal is: satisfied customers.